Automatic LAMP (Linux, Apache, MySQL and PHP) In about 15 minutes, the time it takes to install Ubuntu Server Edition, you can have a LAMP server up and ready to go. 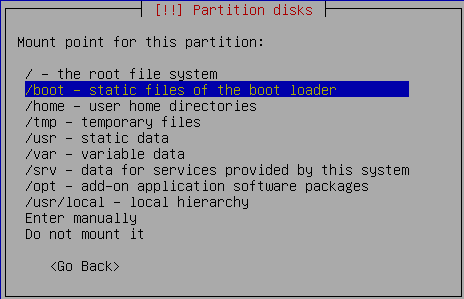 This feature, exclusive to Ubuntu Server Edition, is available at the time of installation. hi there and thanks for this neat guide – i have a question in regard to expanding it – is there a way to make the server act like a wireless access point? if so would this low the server down? Nice write up. One thing you didn’t mention that you also have to setup a mail server if you want your LAMP server to be able to send e-mail via the web. This would include things like user sign up, etc. But Linux newbies (like myself) should be warned. The server by default is only controlled via the command line. Which was a shock to me. As a newb, I want a windowing interface — I need it. I’m a noob too and not so comfortable with the command line/shell. Once the server is running at the completion of this tutorial, can I access and manage the server via a web broswer? There are some tools to manage apache,mysql from web browser like webmin and phpmyadmin. Your guide is a great work, thanks. I just came across it on googling for solution on my problems. I have the LAMP server setup last week for TEST purpose which is now running. I encountered following problems and don’t know whether you can give me some help/guide. Thanks in advance. Dynamic IP addr provided by ISP. I followed the “server guide” to build and config the LAMP server. Each time after booting PC, I have to run “sudo pppoeconf” to make broadband connection. “sudo pon dsl-provider” does not work even without complaint displayed. But now someone wants to publish a website he has created with MS Frontpage. The result looks like rubbish. I think this is due to lack of frontpage extensions. Any idea on how to install frontpage extensions support on this LAMP server? If you want to add options to your LAMP configuration, and you don’t like editing text files I have to recommend WEBMIN. apt-get install webmin and with firefox goto https://webserver:10000, and point and click. 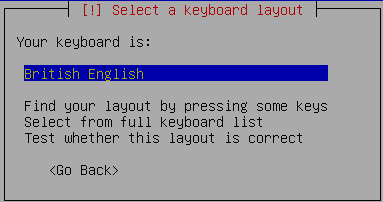 HELP, I can not login and write any key from my keyboard. Ubuntu server installation is stopend in screen prompt. Thanks for your reply in advance. After finishing this guide, I end up with a cursor blinking at me. I’m a total linux noob, but the LAMP installation went fine. 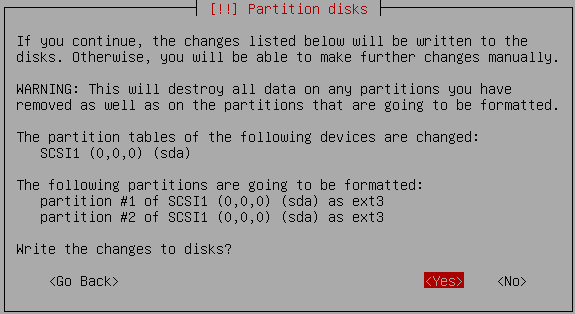 The installer itself is clear enough, I didn’t really need the guide except for the last two (command-line) steps. What I really need now, is to know how to FTP files from another computer to *whatever* directory so that those files can be accessed via http. 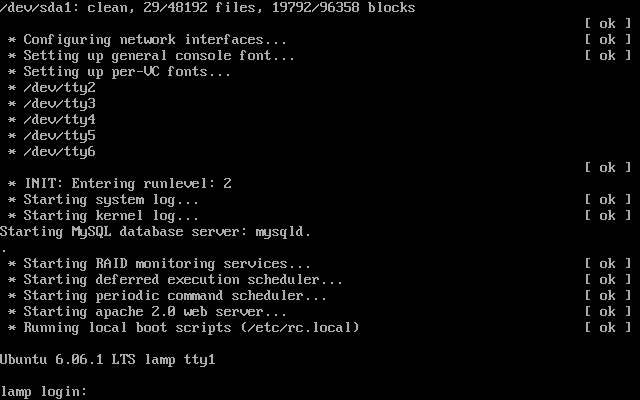 I mean, it’s all good and sugar that I have a LAMP-server running now, but I don’t have a clue how to start using it? 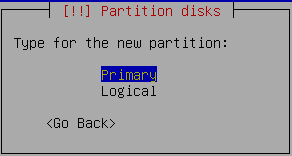 This case, is the case of 99% of people using Linux for the first time. That´s why Linux SERVER distros (Like Ubuntu) should have GUI (Graphic User Interface) by default. If not needed then ppl should have uninstall option, not other way. Now im a medium user level in Linux, but i have spent TOO much time to arrive here (and i was a pro in Windows), i know commands are more powerfull than clicks, but if i spent minutes on a mouse clicks, why should i spent days with commands ??? i have more to do! Until now servers have no GUI and beginners users must install it (using terminal), it´s very easy (i know that by now) BUT… For beginners that could be hell! I’m a total noob, but I’m working on changing that. I just installed thed Ubuntu LAMP server on a laptop, I was really trying to install the desktop. Now my problem is that I need to uninstall it and install the desktop I downloaded. How do I do this? (Another total noob) I want to install the GUI on ubuntu Server 7.04 LAMP. How do I enable universe and multiverse repositories in /etc/apt/sources.list so I can proceed to install ubuntu-desktop? uncomment universe,multiverse lines and save the file using wq! But when I did the same thing on a different network with Internet access, the page never loaded. Why? How can I fix this? One more noob to join the pile. I have installed the LAMP server with the downloaded dvd iso, and everything appears to be up and running, with one major problem. Currently the computer that I have running this only has internet access via a wireless usb card (zd1211wr chipset), and I’m having a hell of a time trying to get it going via the command line! I’m seeing all kinds of how-to’s for GNOME or other gui’s, but nothing to help me get going through the server version without a gui. The AP is running on WPA-TKIP as well, so makes it even a bit tougher. Any suggestions? Most of the help sections I’ve seen so far want you to run an apt-get update, but I can’t do that without first having an internet connection! 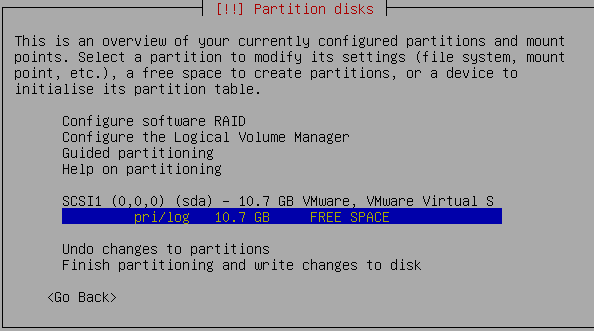 I can get to the location but once i am done doing the changes how do i exit and get back to the command line. I have tried all that I can think of and I cannot go any further. @henry — if you are using VI or VIM, you would type “shift-z”,”shift-z” to save changes and quit from the editor. If all else fails type “:q!” to quit and begin again. MySql did not start after basic installation. Check that mysqld is running and that the socket: ‘/var/run/mysqld/mysqld.sock’ exists! Open my.cnf in nano by running this command at command. Search (using Ctrl+W function) for “127.0.0.1”. to install LAMP. How can I install it now afterwards??? scroll down and mark LAMP. What the advantages if we using the Ubunut Linux, and are this component work automaticly without any other configuration? 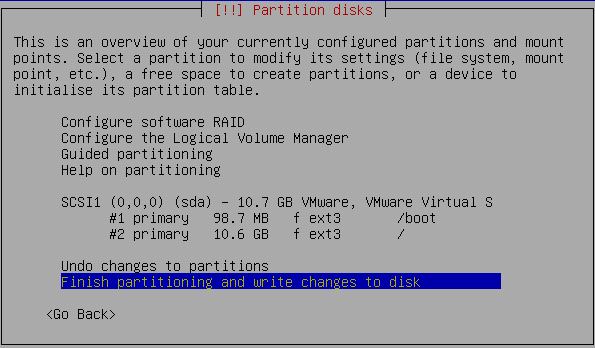 Can I run the Ubuntu 8.04 LTS server in GUI mode? I am new to ubuntu server. I wish to configure LAN with three systems which are using windows operating system. I planning to install ubuntu-desktop but don’t have internet connection. Is it possible to download the package/update manually from ubuntu site and then upadate manually/locally. 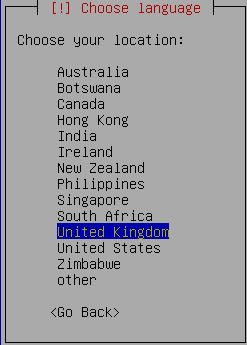 Presume you’re on x86, if not, select your architecture. This is a great tutorial, but is there an update to this? This is version 6.0 from 2006. I’m about to install a LAMP server for the first time and kinda nervous bout it…. Ubuntu apache server doesn’t connect in the local host..
Below error show in browser………. Thank you for this nice guide. Wonderful job. very neat. very helpful. I wish I had seen your page when I installed my ubuntu server and LAMP later. 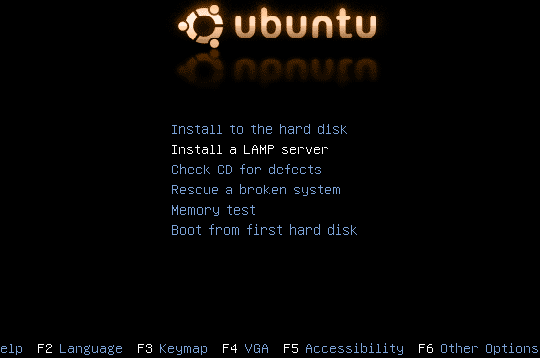 I used the Ubuntu Server Guide to install mine, and used command line, but I am stuck with my LAMP server now. so far OK. but when I type mansour.net at my Win XP browser , I get DNS error. I have an A Record for mansour.net in my DNS zone file exactly the same as what I type in URL. Why do I not have a web site then? Good post and still relevant. What I don’t understand is after 4 years the installer still doesn’t have an option to install the GUI. 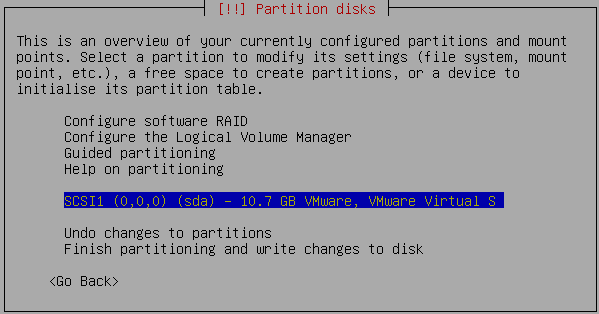 I can handle the command line, but others in my company can’t and it is a hard sell to switch from a Windows server that is easy to administer to this without the GUI. Seems like a simple thing to add and like someone said, the default should be to include the GUI. Let’s start with it on-par with a Windows server and you can dumb it down if you are an expert and really want/need to. Its trivial to install a desktop if that’s your requirement. I tried to add gnome desktop by the commands mentioned here,but its not working at all ..iam getting error as FAILED TO FETCH http://US.ARCHIVE.UBUNTU.COM/UBUNTU/……….please tell me how to fix it..
Hi, i would like to install a Radius server for authentication the users of a LAN, but i want to put a grafic interface to see the logs, activity and add the users easily, because my knowledge of linux is so poor, please help me….. i´m thinking to install a machine with ubuntu, and then put the freeRadius, or is better put the ubuntu server with all the apps. ¿?